Since Washington and the EU imposed hostile and unwarranted financial and economic sanctions on Russia after the spring of 2014, President Putin and the Russian government have made many praiseworthy and sometimes brilliant moves to respond to the de facto acts of financial warfare. However they have avoided dealing with fundamental deeper distortions and vulnerabilities in the Russian economy and monetary order. 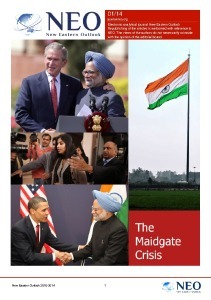 Failure to do so in the future will prove to be Russia’s Achilles Heel if not addressed soon. Fortunately Russia can do something about it even before an alternative currency to the US dollar is at hand. It requires simply a bit of consequent rethinking about the situation. The key to Russia’s economy, to any economy for that matter, is the question of who controls the issue and circulation of credit or money, and whether they do it to serve, directly or indirectly, private special interests or for the common national good. Chaos swept the Union of Soviet Socialist Republics after the fall of the Berlin Wall in November 1989. In July 1990, one of the first acts of “democrat” and Western media hero, Boris Yeltsin, the newly elected President of the Russian Soviet Socialist republic, one month after declaring independence from the USSR, was to change the Russian Constitution with Article 75 to create the Central Bank of The Russian Federation. At the time US hedge fund speculator, George Soros had brought Jeffrey Sachs and Sweden’s Anders Aaslund to Russia to “guide” Yeltsin “shock therapy” advisers such as Yegor Gaidar and Anatoly Chubais. Together, along with pressure from the IMF, they turned the country into an impossible chaos and economic collapse for most of the 1990’s. Pensions were wiped out as the Russian National Bank under the leadership of Viktor Gerashchenko, printed endless supplies of worthless rubles, creating a mammoth hyperinflation of prices. A handful of favored Russian oligarchs close to the Yeltsin family, such as Mikhail Khodorkovsky or Boris Berezovsky, became staggeringly wealthy oligarchs while the vast majority barely survived. This was the social petri dish in which the Article 75 mandating the new Central Bank of the Russian Federation was adopted. With Article 75 the Russian Federation de facto gave away sovereignty over her most essential power–the power to issue money and create credit. Today that has come home to haunt President Putin, his government and the Russian people as a US-imposed financial warfare and targeted sanctions forced the Central Bank to raise key interest rates December 2014 threefold to 17% to try to defend a ruble in free-fall. Today, despite a significant stabilization of the ruble, central bank rates remain a severe 11%. The Russian Central Bank, no matter how patriotic the person running it, is a monetarist institution not an arm of sovereign state policy. To keep the Ruble “stable” means stable against the US dollar or the Euro. That means the independent Russian Central Bank is de facto hostage to the US dollar, hardly an ideal circumstance in the current state of de facto war by other means underway from NATO, the Obama Treasury Department, the CIA, Pentagon and US neoconservative warhawk circles. During the June 2015 St. Petersburg International Economic Forum I was told by a quite senior Russian government minister that there was an intense internal debate inside the government and around Putin’s advisers, about re-establishing a public national bank, as opposed to the independent BIS-modelled central bank imposed by the West on Russia in 1990. While that very positive and necessary step of bringing the power over its money and credit under state control has yet to occur, Russia can do something in the meantime. It’s elegant in its simplicity and requires no direct alternative to the dollar system in order to gain the capital needed for the still-immense task of rebuilding Russia’s economic infrastructure from Vladivostock to Rostov on Don, from Murmansk to Omsk, from Yekaterinburg to Moscow and beyond. The money capital would originate from within Russia, from the creation of state-backed “Russian National Development Fund” bonds and the personal savings of Russia’s citizens. The name Russian National Development Fund is merely a working name, and completely secondary. The content is essential. How would this work? 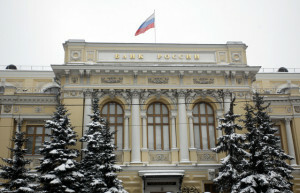 The special Russian National Development Fund, housed within the Treasury, could issue long-term 20 and 30-year duration bonds that would pay an annual interest of an amount to make them attract the savings of normal Russian citizens, somewhere on the level say of 15% annually assuming inflation stabilizes at a level below that. It is important that the new bonds be at least for 20 years so as to insure continuity of the work on large projects. The very creation of the fund will have a significant impact on reducing the current inflation rate as productive investment in economic infrastructure is counter-inflationary as it would increase the circulation of industrial goods and create productive workplaces in direct proportion to funds raised for and disbursed by the infrastructure authority. The annual interest on the bonds as well as the ultimate principal would also be tax free, another incentive to invest. Moreover, as noted, the bonds would not be sold through private banks but through the national Russian postal system, eliminating the costly and risky private secondary bond trading of the private banks. For this to work, control of the post must remain in state hands. The bonds would not be a digital computer entry but actual paper bonds issued on special safety paper that cannot be forged easily. The progress of various projects funded could be regularly shown as “progress reports” to the nation in form of national TV documentaries or videos on the website of the Fund. That would strengthen identification of the investing public seeing what their savings are creating. At a time when stock markets around the world are melting away to the tune of trillions of dollars in asset value and foreign currencies and international commodity prices fluctuate wildly, the Russian state-guaranteed infrastructure bonds would be an island of stability from those foreign storms, and the engine of real, vital economic growth for the nation. The government would get the use of the invested money to build the national infrastructure which in turn will significantly increase ordinary tax revenues to more than service the interest on the bonded debt. It avoids having to impose onerous new taxes to finance it. Over that twenty years, the government issues private bids for specific priority national infrastructure projects such as modernization of the electric grid, construction of a national network of high-speed rail transport along the general model of and fully integrated with China’s internal high-speed rail network. Those projects would bring well-paid skilled jobs for hundreds of thousands of Russian people. Those new jobs in turn would pay normal income tax on the earnings from building the new Russia. 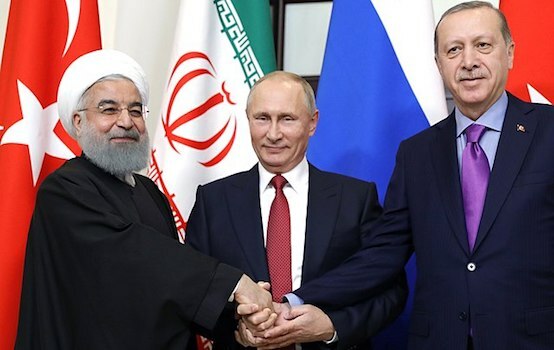 That in turn allows the Russian government to finance its needs, irrespective of western financial sanctions and the cutoff from western credit. Various USA studies from the 1960’s, back when America still invested in its national infrastructure, found that spending on such vital economic infrastructure repays the state in new tax revenues approximately 11 dollars, or in this case rubles, for every dollar or ruble initially invested. That is the secret of well-conceived infrastructure spending. Count Sergei Witte, Russia’s great government railways minister who went on to become the finance minister and then Prime Minister under Czar Nicholas II, understood the vital role of national transportation infrastructure in building and modernizing the Russian nation. He was the father of the then-massive Trans-Siberian Railway project, a project that made England very uneasy as it challenged British world power over the seas. The British and later the United States with her, fought two world wars in the last century to prevent further development of similar trans-Eurasian rail links across what Mackinder called the Eurasian heartland. Now, China and Russia are joining forces to do just that. By having the citizens buy the bonds directly, the Russian government avoids having to turn to foreign capital markets, even friendly ones like China, for raising capital. It avoids the onus of foreign debt. Depending on how the buying of national infrastructure bonds is presented to the population, in the present crisis they could readily become a symbol of national patriotism and individual commitment to Russia’s prosperous future. In a future article we will discuss the essential advantage of creating a government-owned National Bank rather than an independent central bank. Russia has everything any nation could need in abundance to build a new world of stability and prosperity for its people and become a magnet for other nations to imitate as remote as it may sound today. She has the character, the moral determination as shown over the past months amid brutal sanctions and attacks. She has perhaps the best educated scientific manpower on the planet and a skilled labor force. The resources all exist in super-abundance. It’s simply a matter of getting the flow of goods and people working in the right direction.